Rossini’s setting of the Mass in his own inimitable style – described by the composer himself as the last of his ‘sins of old age’ – belies its title, being neither particularly small nor solemn. Lively and joyous, full of memorable tunes, wit and irrepressible vitality, an impressive line-up of artists assemble to perform this almost irreverent Italian operatic take on the liturgical text in the glorious setting of Bristol Cathedral. 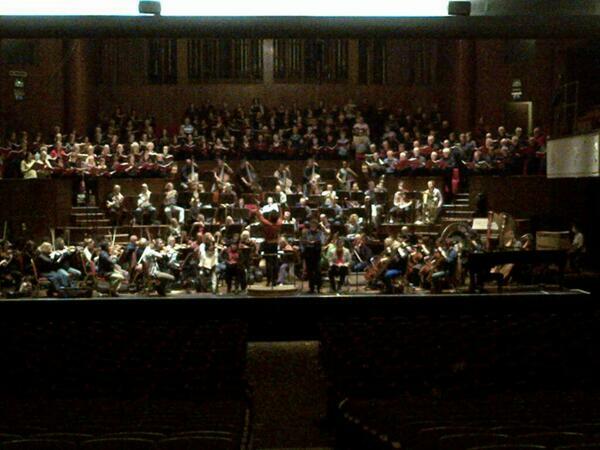 @BristolChoral @Colston_Hall What time is the event due to finish? (I see the planned start is 10am) Thanks! RT @dvoraksociety: @BristolChoral @GlosChor @philharmonia @Colston_Hall stunning in Bristol tonight, especially Janáček Glagolitic Mass. A flying start and an exhilarating finish from the @philharmonia and @BristolChoral at @Colston_Hall this evening - loved it! 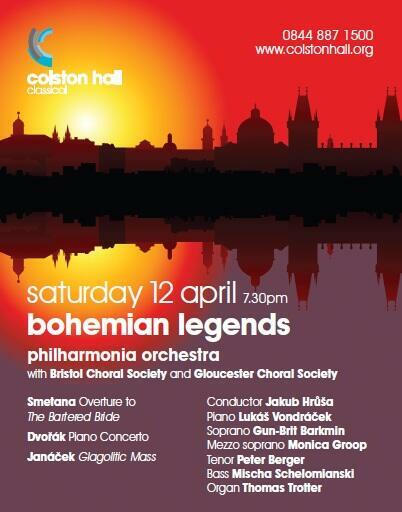 @BristolChoral @GlosChor @philharmonia @Colston_Hall stunning in Bristol tonight, especially Janáček Glagolitic Mass. Coming up at 7:30pm live from the Colston Hall: Janacek's Glagolitic Mass performed by the Philharmonia Orchestra & Bristol Choral Society..
Great seats #justonsale for £16.13 incl. bf for #BohemianLegends concert tomorrow with @BristolChoral @gloschor and @philharmonia. Hurry!